Niche or industry-specific job boards are highly useful for job searchers who are looking for work in a specific field, and they’re also great for allowing employers to reach a targeted audience of job searchers. For those who want to create a job board or add a job board to an existing website or blog, there are several options for creating and managing it. There are several different WordPress plugins and themes that have been developed over the past few years for running job boards. I have used 2 commercial plugins and 1 commercial theme for job boards with very mixed results. In some cases setting up the job board was rather complicated, and in other cases the support was poor and the developer disappeared. If you’re building a website or a critical part of a website on a commercial plugin or theme it’s important to have confidence that the product will continue to be supported in the future, otherwise you could have major problems as new versions of WordPress are released. Gravity Forms is well-established and due to it’s popularity it is not in danger of becoming unsupported. The inteface is easy to use and manage. A PayPal add-on is available to those who have a developer’s license of Gravity Forms, so you can easily charge a fee for job submissions. Because many WordPress designers and developers already have a Gravity Forms license I thought it would be useful to show how this plugin can be used to create your own job board. It is a commercial plugin, so if you don’t currently have a license you would need to at least purchase the $39 personal license in order to use Gravity Forms. That would allow you to set up a job board with free submissions. If you would like to be able to charge companies for the job listings, a developer’s license ($199) is needed in order to get the PayPal add-on. Please note, this post is not endorsed or sponsored by Gravity Forms. I’ve found it to be a very useful (and time-saving) plugin in my own work so I thought this information may be helpful for others. 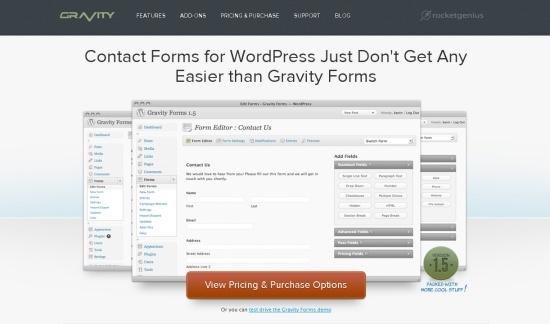 The very first step is to activate Gravity Forms like any other WordPress plugin. Before we create the job submission form it will be helpful to set up the categories for job submissions. 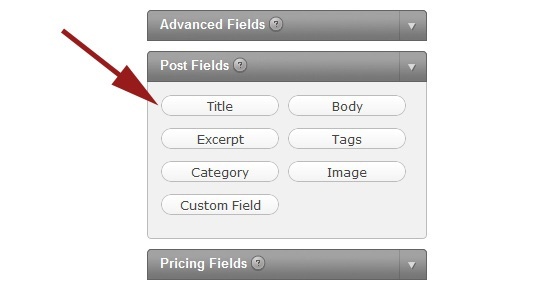 To do this, in the WordPress dashboard click on “Posts” and then “Categories”. 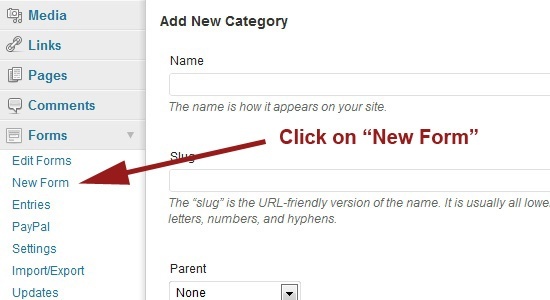 Here you’ll be able to add the new categories and set up the custom URL slugs. For the example job board that we’ll be working with in this tutorial I set up three categories, Graphic Design, Web Design, and Web Development (actually, I renamed the Uncategorized category to Graphic Design and created the other two categories). Add as many categories as you would like, including parent/child relationships between categories. When users submit a job they will be able to choose which category should be used. 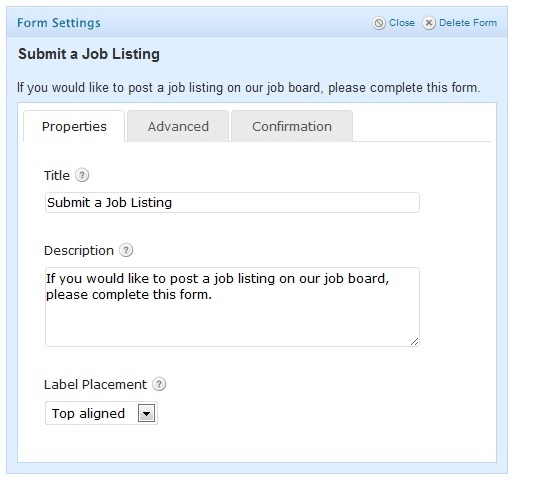 We’re now ready to create the form that employers will be using to submit their job listing. 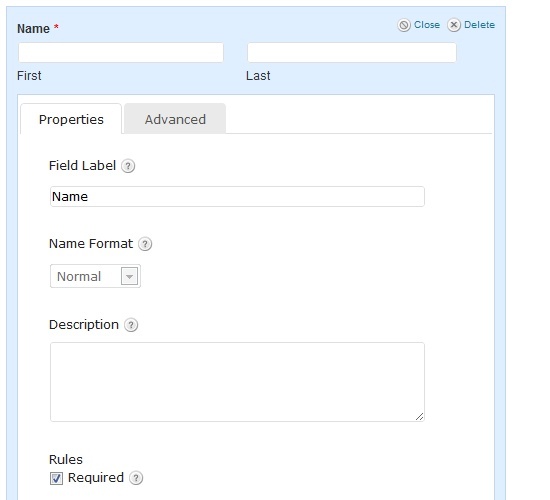 Gravity Forms makes it simple to create advanced forms, and it also makes it possible to use the data from the form submission and automatically place it into a post. 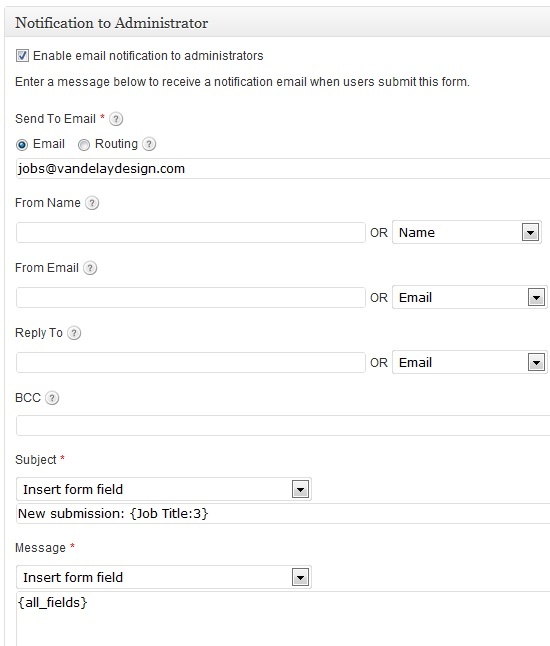 That way when someone submits a job listing through the form you will be notified by email and you’ll be able to go to the WordPress dashboard to publish the post or delete it if it’s not appropriate. When you have Gravity Forms activated you will see a “Forms” link in the WordPress dashboard. Click on “New Form”. Give your form a title and a description by clicking on “edit”. We’ll need some basic info from the submitter, so to the right under “Advanced Fields” click on “Name” and “Email”. Then hover over the filed and click on “edit”. That will open up some options. Check the “required” box to make this a required field. The next field will be the job title. We’ll want this to be used as the post title when the job is published, so click on “Title” under “Post Fields”. Then click on “edit” and change the name from “Post Title” to “Job Title”, and also make it a required field. Next, we’ll add two custom fields, one for the company name and one for the location. So click on “Custom Field” twice under “Post Fields”. 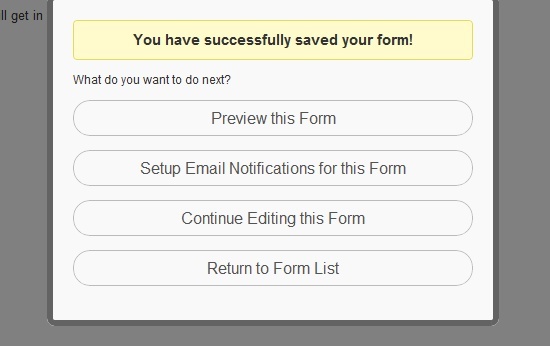 Once the fileds are added to your form, click on “edit”. 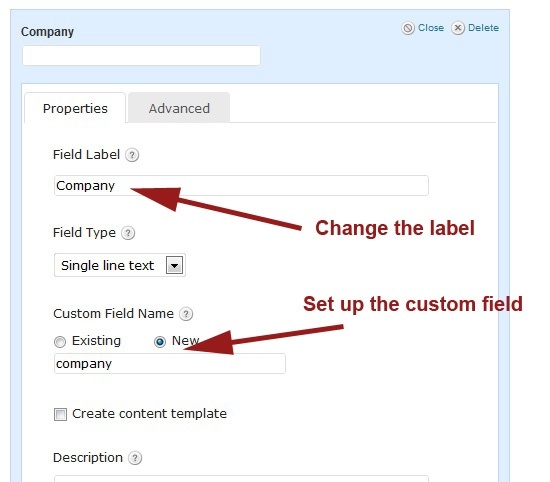 Change the name of the field and check the radio button for a new custom field name. I’ll leave the company field as optional but I’ll require the location field. Next, we’ll need to allow the submitter to choose a category, so click on “Category” under “Post Fields”. 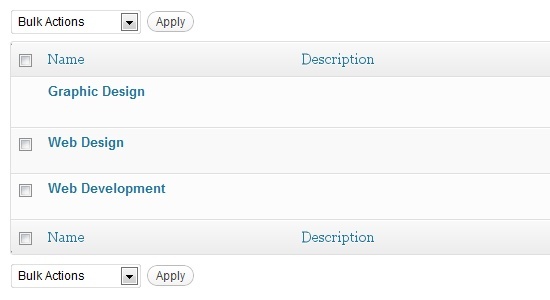 Click on edit and change the label to “Job Category” and make the field required. 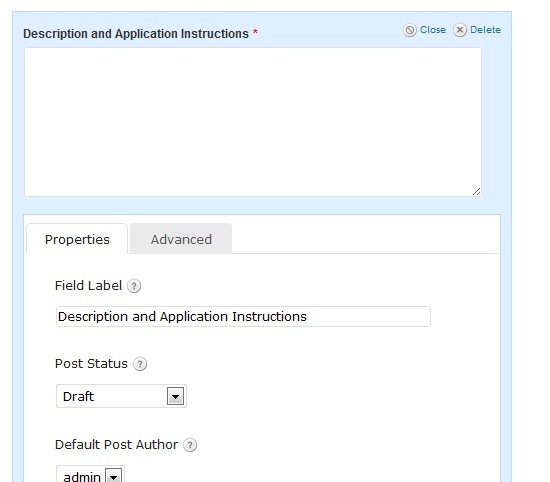 This will add a drop down field to the form for selecting from the available categories (which we set up in step 2). The last form field that we will be adding is one for the job description and for instructions to those who wish to apply. Click on “Body” under “Post Fields”. 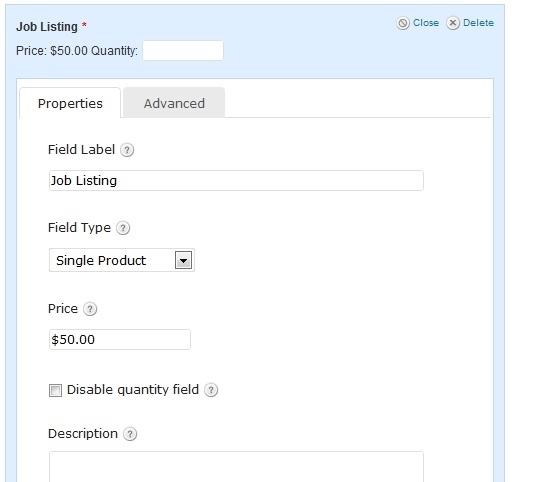 Click on “edit” and change the label and make this field required. Our form is now complete, so click on the “save” button. You’ll be presented with a few options. Click on “setup email notifications” and we’ll go ahead and set it up so that the form submission emails are customized how we want them. Here you can set it so that the email notifications come from the name and email address of the person submitting the form, you can choose which email address to send them to, and you can choose which fields to display in the email. Now that we have our form ready to go we will need to add it to a page. Create a page called “Submit a Job”, or whatever you would like it to be titled. Once you are editing the page adding the form is easy. Click on the icon shown in the image below. You’ll then be able to select the form that you want and it will be inserted into the page. Publish the page when it is ready. We’ll now need to make some changes to the theme to display the information that we want visitors to see. For the purposes of this tutorial we will be making minimal changes. In a real world scenario you would probably want to do additional work with the CSS to improve the look of the theme, but we’re just focusing on getting the job board functional for now. Let’s start with the font page. We want it to show the most recent job submissions, the date of submission, name of the company, location, and job category. We won’t show any of the post content (the job description) on the front page, visitors will have to click to see those details. depending on whether your theme displays full posts or excerpts on the front page. Remove that code entirely so that neither the post body nor the excerpt are shown on the front page. This will pull the data entered in the “company” custom field for the post. This will pull the data entered in the “location” custom field for the post. You’ll also want to set up the category pages by editing the category.php file to show the same information on each post as the front page, except of course it will only show posts in the selected category. You’ll also want to add the company name and the location to the single.php file (using the same code as shown above). which will add that informtion on the individual job listing posts. We now have a functional job board that allows employers to post a job for free. 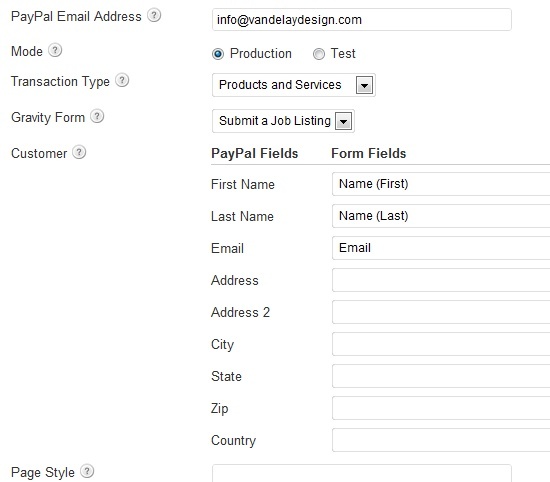 If you would like to charge a fee for job submissions you can keep going and integrate the PayPal add-on for Gravity Forms. You’ll need to download the add-on (you will need to be logged in to Gravity Forms to view this page), upload and activate it like any other WordPress plugin. 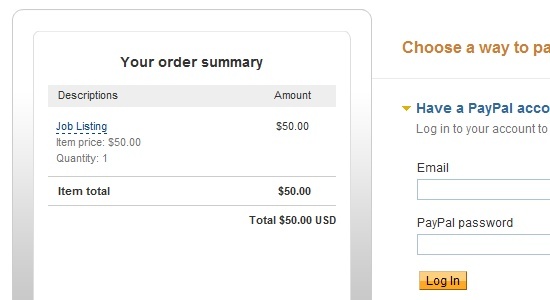 You’ll need to edit a few settings to integrate Gravity Forms and PayPal. Gravity Forms provides excellent instructions (you’ll also need to be logged in for this page) for doing this. 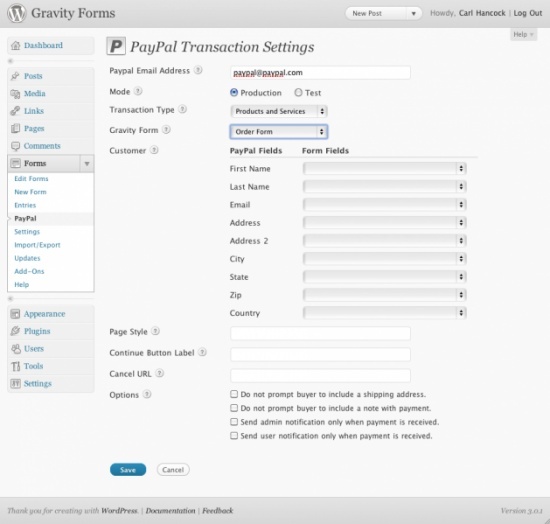 Basically, you’ll set the IPN settings in your PayPal account and then set up a PayPal feed in Gravity Forms. You’ll need to add a product field to the submission form with the price that you would like to charge for submissions. In the Gravity Forms dashboard you’ll then have a few settings to setup and you’ll be ready to go. Now when someone completes the form they will automatically be led to pay through PayPal. 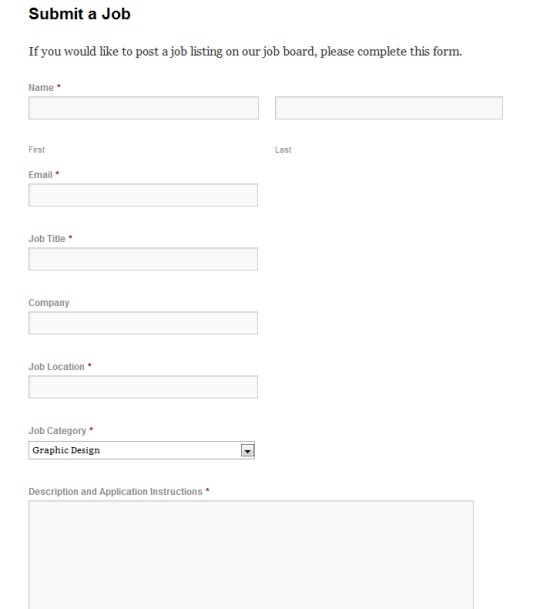 So as you can see, setting up a job board in WordPress is quite possible with the Gravity Forms plugin. This tutorial really only covers the basics, you’ll want to set up your theme to meet your needs, but the basics of getting the form submission and job listing posts set up is rather simple. Should You Use a Job Board to Find Your Next Web Design Gig, Yes or No?